M48 OPS Universal Horizontal Shoulder Holster - Black - Fits Most Pistols / Handguns - Semiautomatic / Semi Auto, Revolvers, More - Double Mag Pouches - Padded Shoulder - Adjustable Harness | BUDK.com - Knives & Swords At The Lowest Prices! Brand new from M48 Ops! 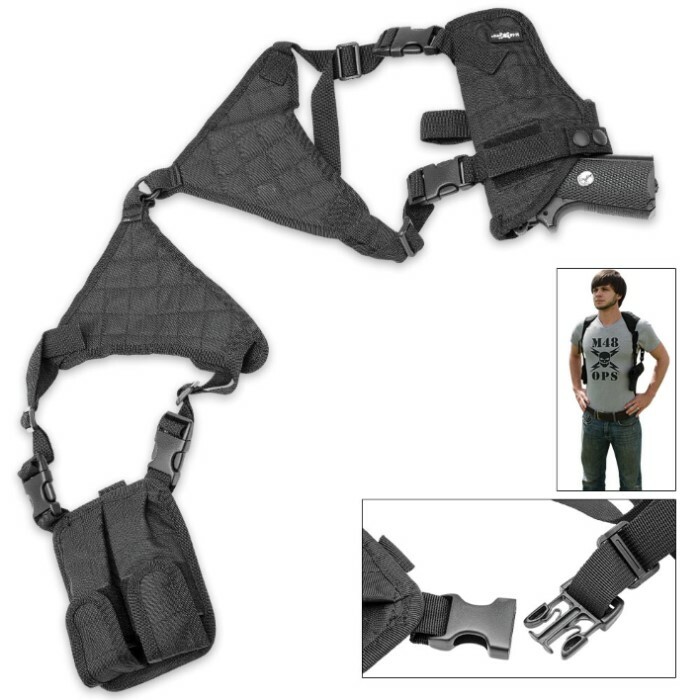 Blend in stealthily and stand tall at the same time with this high quality and very cleverly designed horizontal shoulder holster with loaded features. The universal design will fit most popular auto pistols and revolvers while the modular design allows for both left and right handed use. 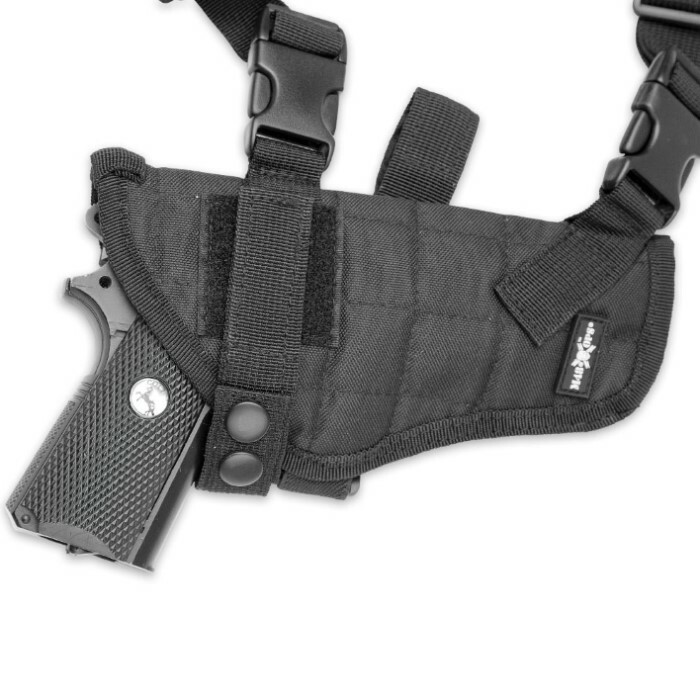 Each ring includes a padded shoulder harness, and a holster with soft lining to protect guns and two magazine pouches. 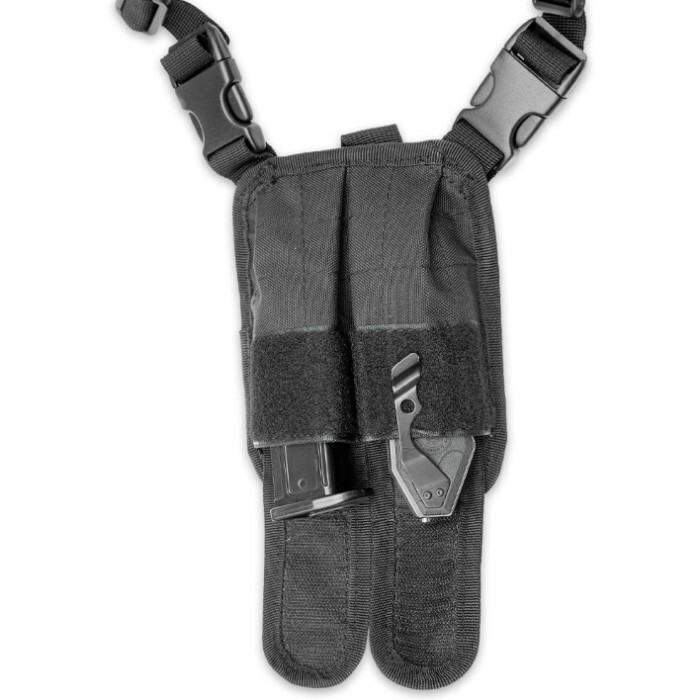 All components are fully adjustable with Velcro straps attached to web belt for holster/pouch tension. The product is excellent. Good design, good materials and at a very attractive price.